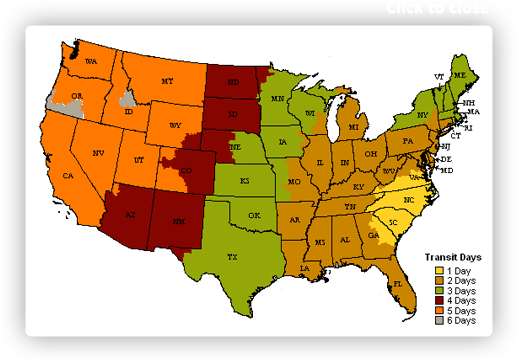 Colors include: Rust Red, Beige. The primary colour is Rust Red. 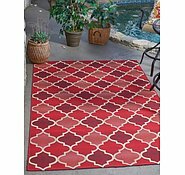 7' x 10' Outdoor Trellis Rug is rated 4.8 out of 5 by 26. 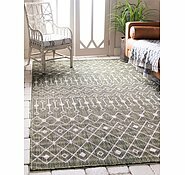 Rated 5 out of 5 by Jeff W from Amazing Rugs There’s a few things which really surprised me as an online shopper. 1. The delivery time was less than a week from time of payment to hassle free delivery to my door. No mean feat for the other side of the globe. 2. The price of the delivered product was fantastic and 3. 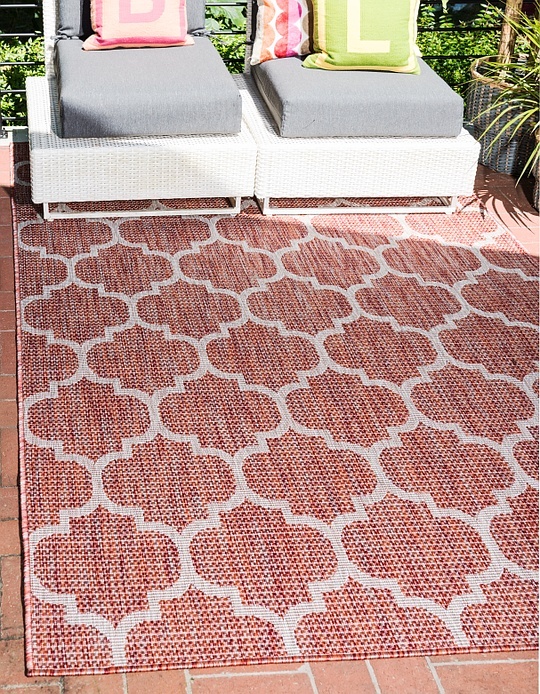 The quality, texture, pattern and colour of the rugs are amazing. As a value shopper this ticks all the boxes. The purchase was easy, delivery was fast and the product exceeded expectations. 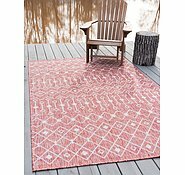 If I needed more rugs I’d buy again. Highly recommended. 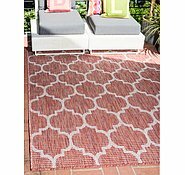 Rated 5 out of 5 by fezzie1 from Great outdoor rug! Good quality, perfect size, as described also a great price! 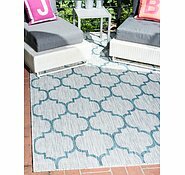 Rated 5 out of 5 by Jewels from Great Value and Well Made We purchased the Trellis outdoor rug for our back patio. The size and colour is exactly what we were after. The description is accurate and the colour in the photos is a very close match to what we received. 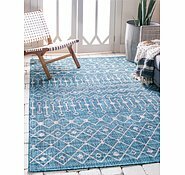 This rug is our 3rd purchase from AURugs and we love all of them. Love it Love it Love it !!! Rated 5 out of 5 by Sezzybezzy from Very happy ! I love my new rug! 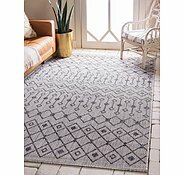 It looks fabulous and is excellent quality and it showed up within days! Very happy! Rated 5 out of 5 by Glitter G from Great pattern and good feel I ordered this three weeks ago and it arrived a week later from the US. 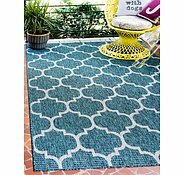 Took a gamble on the texture and feel of this rug being made from recycled plastic materials, but you’d never know. Soft to walk on and serving as a great outdoor play space for my grandsons on our apartment balcony. We’ve also furnished the area and love having breakfast outside on it and drinks at the end if the day. I’ll bee interested in just hiding it down to wash it. 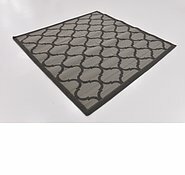 Rated 5 out of 5 by ffish from Quick and easy delivery and great quality I bought this for our deck to go under an 8 seater outdoor dining table and it fits in perfectly. The quality is good, and it feels lovely to walk on. 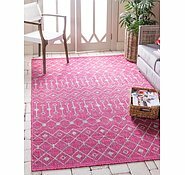 I will be buying more rugs soon! Thank you for making this an easy and no-regrets purchase. Rated 4 out of 5 by titch93 from Simply Lovelly I bought this to decorate my new lounge area. The colours are only slightly darker than the seen on the screen, but none the less it is beautiful and will go perfectly in the area I want to put it. 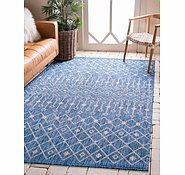 Hi there, This rug looks blue in this pic... However it also can look green in other pics. What colour is it please? 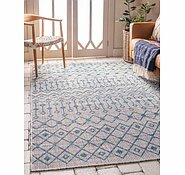 The primary color of this rug is Teal. 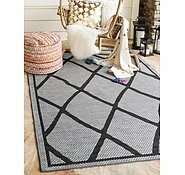 Yes the outdoor rugs are designed for harsh weather. 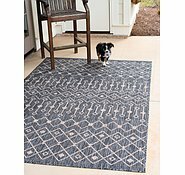 They do dry up pretty quickly and you do not have to be worried about them getting ruined as they are designed to be outdoors. I would like to inform you that we restock items every 6-8 weeks. However, we would suggest checking back then as we will have it listed back online. We sincerely apologize for the inconvenience. 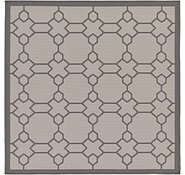 Please confirm whether I have placed my order for this rug or not. &nbsp;Thought I had sent this quite a few days ago.If you haven't received is it ok to order now please. Hello. Please email your question to info@aurugs.com with more information. Thank you. 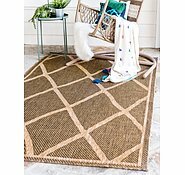 This item is woven to be water resistant but can be used indoor. The legs of furniture should not affect the rug in any way.